Order of Malta members served dinner to 45 residents and guests at the four Fisher Houses on the campus of Walter Reed National Military Medical Center. The meal consisted of chicken pot pie (by Selma DeLeon), scalloped potatoes (by Robert Powers), cranberry and cherry salad (by Martina Caputy), tossed salad (by Jeff Cuiper), bread rolls (by Joan Glasgow) and assorted cookies and fruit tray (by Barbara Knollmann). Other members who volunteered were Lisa Charles, Rich Landfield, Mary Lopatto and Anthony Caputy. The new chaplain, Major Eugene S. Kim, BDE Chaplain, led all in prayer before dinner was served. We welcome Chaplain Kim and his enthusiastic appreciation for our service to the Warrior Brigade in residence at Fisher House. The first Fisher House was opened at Walter Reed by President George H.W. Bush in 1991. Now, 27 years later, there are 73 Fisher Houses at military bases and VA medical centers throughout the world. 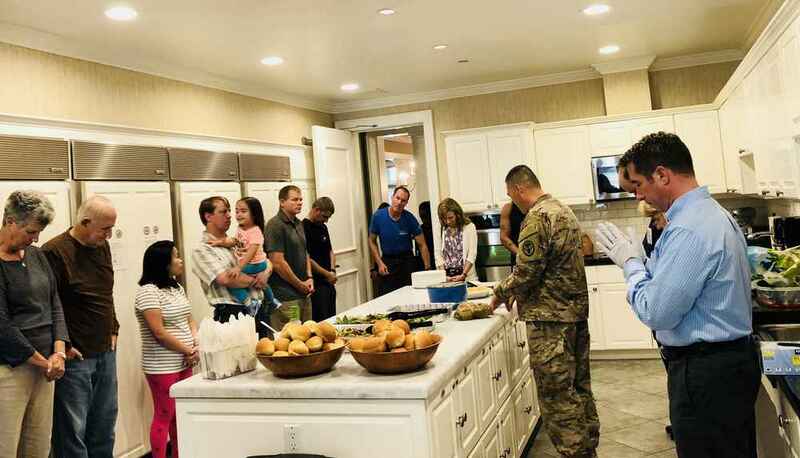 Fisher Houses are comfortable, spacious and beautifully decorated homes that provide up to 21 suites with private bedrooms and baths for military members, and their families, who are receiving medical treatment but do not need to stay in the hospital. Fisher Houses are a caring and compassionate home-away-from-home. The Fisher Houses share a large common kitchen, laundry and dining room. 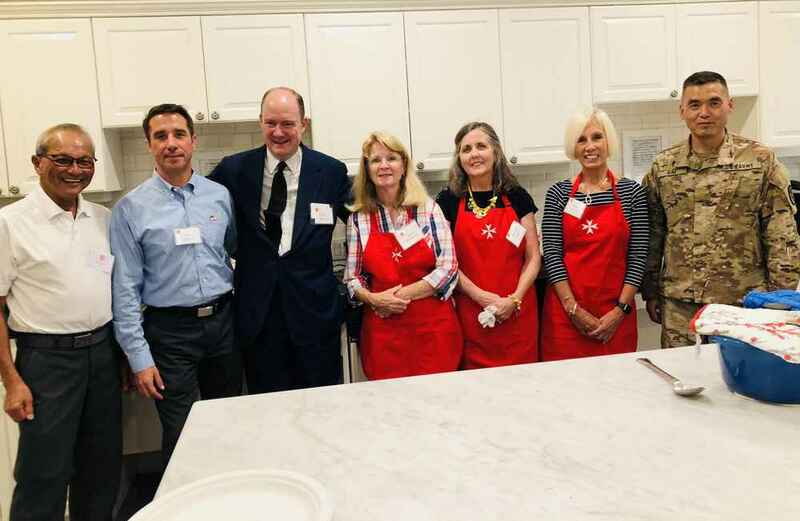 For the last seven years, members of the Order of Malta from the four surrounding regions (Montgomery County, DC, Northern Virginia and Southern Maryland) have served a meal every third Wednesday of the month at Fisher House IV. We serve the families staying at all four houses, as they come together for a home cooked meal. They come from all over the United States, with a family member currently serving in the military or retired. Once a month we visit these guests staying far from home to provide a homemade meal, a smile and a willingness to listen to their stories. We have laughed, admired the strength and cried with many families over the years. We have been blessed and touched by these experiences with our military men and women.